Afghanistan - Hundreds of thousands of people are crossing into Afghanistan from Pakistan, prompting warnings of a major humanitarian crisis. As many as 600,000 Afghans – registered refugees and undocumented returnees – will return to Afghanistan before the end of the year with another 400,000 on the move within the country, according to IOM and the United Nations High Commissioner for Refugees (UNHCR). Unprecedented numbers of Afghans are fleeing increased incidents of violence, arbitrary arrest, detention and other forms of harassment. Given as little as 48 hours to leave, they are hard pressed to sell off assets and pack up their homes and possessions. In some instances people arrive with little more than the clothes on their backs. They are entering a country wracked by violence, at the peak of the annual surge in conflict, which together with the imminent onset of winter makes them especially vulnerable. “We cannot overestimate the seriousness of this situation,” said IOM Chief of Mission and Special Envoy to Afghanistan, Laurence Hart, this week, in the wake of a visit to the border crossing point of Turkham, where IOM is providing immediate post-arrival assistance to the tens of thousands of new arrivals. On Wednesday (07/09), the UN issued a Flash Appeal for USD 150 million to cover shelter, health and food needs for the next three months. Right now, IOM is caring for 100 families per day, moving them from the border crossing to a transit camp it runs three kilometres away. The neediest are given hot meals, a shower, and access to medical care. After a night’s rest they are provided between USD 20 and USD 50 per person for onward transport to their final destinations. At the transit camp, IOM staff provide basic medical care, including tuberculosis (TB) screening, aid packages, and referral services for unaccompanied minors, those with mental health issues and special needs. 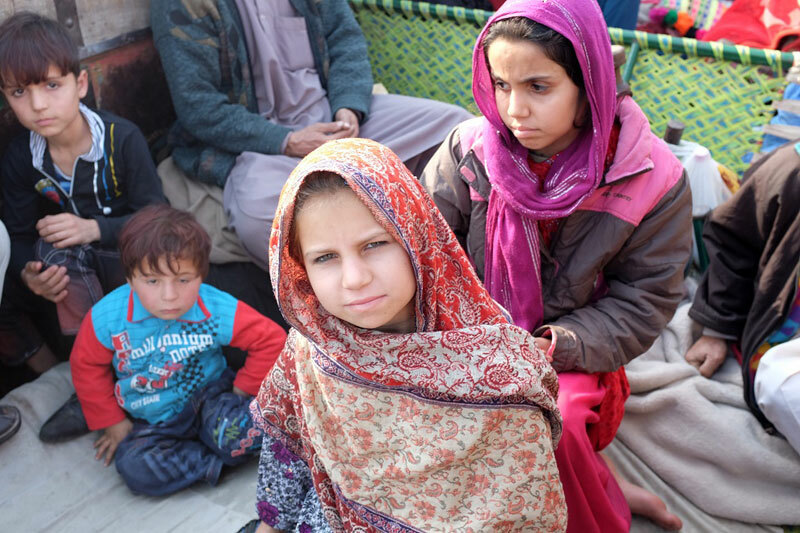 There are fears that informal settlements will become long-lasting camps for internally displaced persons as an estimated 90 per cent of returnees are settling in Nangarhar, near Jalalabad city where the winter is milder. The Government and its humanitarian partners are working to find solutions ahead of another anticipated surge after the mid-September Eid holidays and a 15 November deadline for all Afghans in Pakistan to acquire a machine readable passport and valid visa. IOM will release its detailed response plan in the coming days.